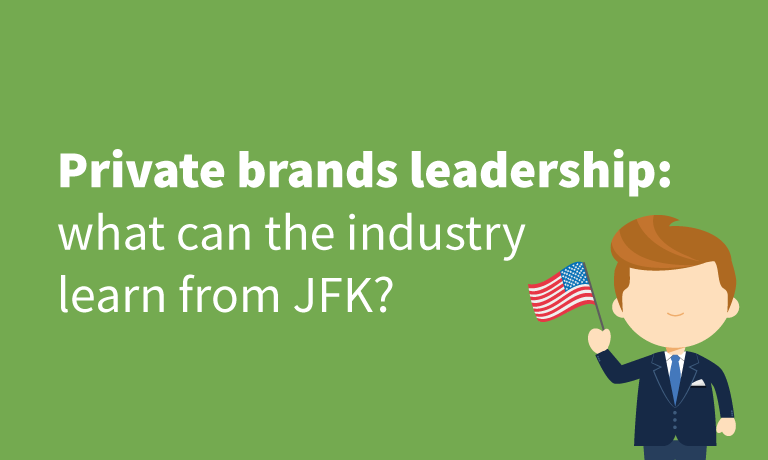 Private brands leadership: what can the industry learn from JFK? 21 Mar Private brands leadership: what can the industry learn from JFK? In a world where change and disruption is all around us, companies have to be highly adaptable and agile to transform their businesses to be able to respond and thrive. Business Transformation is the term used and can best be described as change management that fundamentally shifts a business operation. It’s no longer about business as usual. It is about business as unusual. The aim is to make changes to processes, people and systems to better align the company with a new business vision, mission and strategy. Leadership is critical to the success of transformation change. Often, we hear from inspirational leaders about the need for change and the direction of travel we need to take to bring about change. The more charismatic the leader, the more they are able to paint a vision of what tomorrow may look like and persuade us of the right path to travel. For my generation one of the most inspirational of all was John F. Kennedy, and in particular his leadership over the moon program. When the USA was still in post-war doldrums, he set out a vision that America would lead the world in space and set a mission to land men on the moon within a decade which he set out in his famous ‘Moon Speech’. Kennedy said that “we shall send to the moon a giant rocket more than 300 feet tall, made from metals not yet even invented, capable of standing heat and stresses several times more than we have ever experienced… and then return it safely to Earth, re-entering the Earth’s atmosphere at speeds of over 25,000 miles an hour; and all before the decade is out’. A truly audacious and breath-taking mission set in 1962 and achieved in the moon landing in 1969 - well within the 10 year goal Kennedy had set. But for me the even greater achievement than setting the mission to land man on the moon was how he pulled everyone together and mobilised the country around a common cause. JFK knew that America were trailing behind the Soviet Union in the space race and he simply set America’s aim to get ahead and stay ahead. This gave every man and woman a target they could relate to personally, and so make a small contribution to the overall mission to reach the moon. JFK recognised that vision and mission were extremely important but just as important was getting all members of the team and the wider community of Texans and Americans fully committed, involved and engaged in the program of change. This was essential if they were to meet the many yet unknown challenges, overcome obstacles and bounce back from setbacks along the journey in their overall quest to be the first to land a man on the moon. As we fast approach 2020, the moon speech remains poignant. Modern day business transformation guru’s often make reference to JFK when talking about successful business transformation. There needs to be clear vision and clear mission, engaged teams and stakeholder communities all pulling together around a common cause able to overcome the challenges and bumps on the road to reach a better place. More and more today it is commonplace for companies to invest in their people by sharing business vision and strategies, communicating business performance and developing a company culture. This has resulted in more adaptable organisations, greater employee retention and greater employee engagement. But also, it builds trust and understanding and preparing the ground for if and when change is needed. Equally important is to consider the wider community. When we look at transformational change in a private brand context, suppliers are top of the list of stakeholders that are critical to the success of the mission changing and repositioning retailer brands. This same sense of ‘investing in people’ is needed when it comes to suppliers. Yet many retailers struggle to get this right. 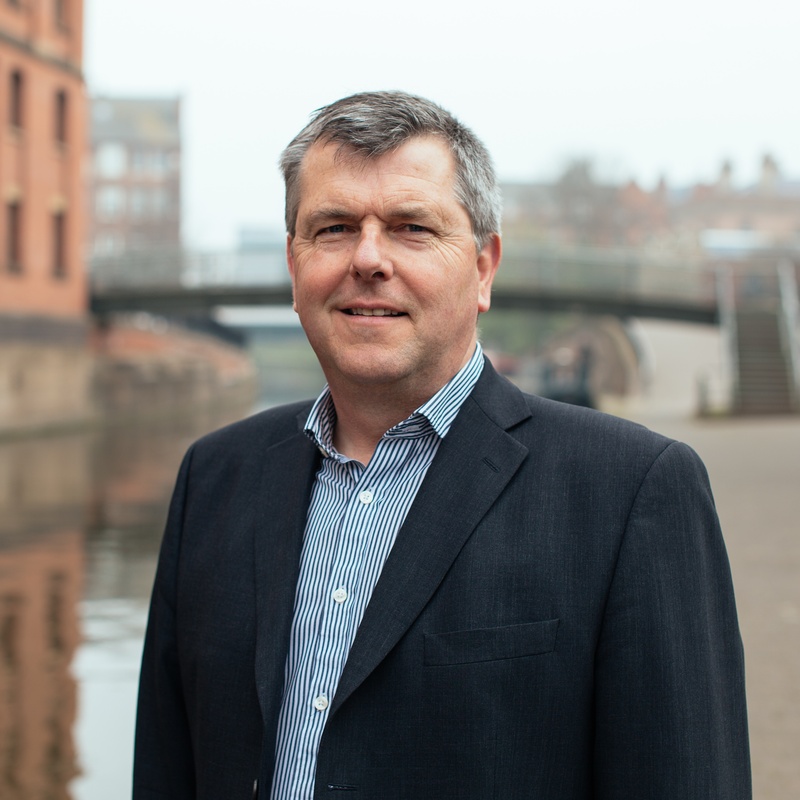 I read a very interesting interview with David Lawrence, SEDEX Board Director and supply chain sustainability and collaboration expert in which he was asked to describe the typical reasons that suppliers don’t engage. Lawrence responded that "suppliers don’t engage" particularly when they feel they are being told to do something and especially if the engagement seems to be a duplication of other efforts. They may not understand the context or the business benefit – or you are telling them what to do, but not why it matters. Lawrence goes on to say what is needed is for companies is to "spend more time explaining where you want to go and let suppliers come up with the how." Supplier engagement is key to being successful in managing business change in private brands. Too often the supplier/retailer engagement doesn’t have the same level of attention paid to it as employee/employer engagement. It is not about how retailers talk to suppliers, send emails or push out newsletters. There are plenty of tools in which retailers can make requests of suppliers, but that isn’t engagement. Engagement isn’t about the tools used for the dialogue, but rather the quality of the dialogue itself. A better way to think of engagement is to anticipate what the supplier needs if they are to make a success of a business transformation. In our book called ‘The One Team Difference’ we explain that supplier engagement is basically the application of employee engagement principles to the relationship with suppliers. It is about motivation and understanding and changing behaviour, for example, creating total commitment to innovation based on customer insights, quality and consistency and product and supply chain integrity. We set out the three pillars of successful supplier engagement and these underpin successful business transformation. Provide transparency about the progress is measured, keeping in mind the need for a balance between praise and critique. Suppliers will possess more expertise, more knowledge and certainly more passion for their products that a retailer sells. Making supplier engagement part of a business transformation strategy will result in better products, better information about products and greater attention to detail in the manufacturing process. Raising the emphasis of supplier engagement by retail leaders is increasingly important in transformation a private brand. Like JFK, uniting teams and stakeholders around a common goal and providing a platform to engage are integral to the overall success of a private brand mission.